Good news and bad news on the “Mad Men” front, for those of us who are getting anxious about ever seeing our pals at Sterling Cooper Draper Pryce again. (Is Don really going to stay married to Megan? Will Joan’s husband believe that it’s his baby? Will Bert Cooper return? And what fresh hell is poor Sally going through?) Deadline.com reports this morning that series creator Matthew Weiner is near a deal with AMC and Lionsgate for a fifth season. But it looks like we’ll have to wait even longer than usual. Typically the show’s season premieres in July, but two years ago, when contracts weren’t signed until January, the show was pushed out until August. 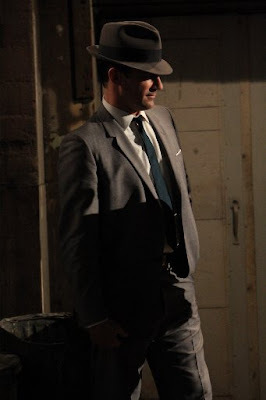 Jon Hamm, asked this week about the show, said that normally shooting began in April or May, but “it doesn’t seem like it’s happening now because the writers’ room is not in place.” Sigh. We’ll keep waiting. Anything good on TV (other than “30 Rock”) in the meantime?